"Business Intelligence Project Analysis Strategy and Methodology"
Have you identified Business Intelligence and Analysis as an important investment? 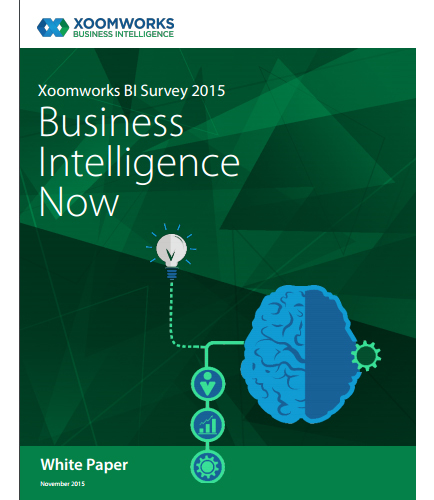 90% of survey report states Business intelligence as a prevalent tool to improve business. XoomWorks, an expert in Business Intelligence and Analytics gave a statistic report on how Business Intelligence, Data Management and Data Security remain a high priority for large enterprises. Based on survey done by XoomWorks:What are the main reasons for Business Intelligence project failures? Data quality, Data governance, performance, user adoption change management and lack of skills, which tools to be used, are the main causes for project failures. Has your company identified Dashboards and Story boards as an important investment? How important is the control over access to sensitive data to your organization? How Database Governance and Data Security is an important investment to lead in Business Intelligence? Download this white paper to learn more about trending Business Intelligence issues and implemention of self-service technologies to ensure high quality data which results creating a visual thinking culture.